You might find it hard to believe, but once upon a time, people used to consider Apple TV 2 as the best Kodi device of them all. Now, Apple TV 2 is nowhere near the top most used Kodi devices. In other words, Apple TV is now effectively outdated. And because of that, it has a huge security hole in its software. If you use a jailbroken Apple TV 2 then you are exposing yourself with that security hole. Even worse, that Apple TV 2 security threat could compromise your entire network. The thing we want to get to here is that when you jailbreak Apple TV 2, it pre-installs OpenSSH. As you can probably imagine, this is a huge security flaw. It puts all the users who are using Kodi as their main source of content consumption at risk. Hackers can effectively use this flaw to use your Kodi device to do lots of evil things. The only reason why you haven’t heard more people talk about this flaw is that all of us are busy thinking about Russia. The industry doesn’t really have any interest nor the time to deal with small security threats. Of course, they are disregarding these threats at their own peril. 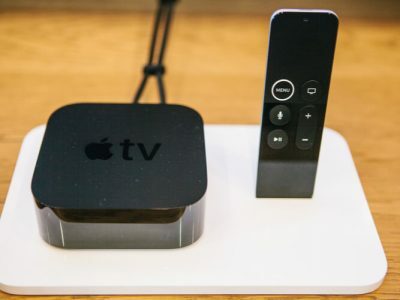 In this guide, we want to tell the user that if they own one of those jailbroken Apple TV 2 devices or boxes, then you are 99.99% assured of a security threat sitting right in the middle of your TV lounge. In other words, you need to plug in that huge security hole. The other problem with jailbreak techniques is that they open up even more security flaws in Apple devices. But those security flaws are nowhere near as dangerous as the security flaw that we want to talk about and fix in this guide. The fact is, jailbroken Apple TV 2 users and owners are at risk. Cybercriminals can hack into their systems at any time. The reason for that is because specific jailbreak techniques come with OpenSSH installed. That is their default setting. But that is not the worse part. The worse part is that no Apple 2nd generation TV device owner changes his/her root password for his/her Apple 2nd generation TV device. As mentioned before, jailbreaking techniques set this password to “alpine”. This also means that if a user has a jailbroken Apple 2nd generation TV device that is connected to some electricity outlet in the user’s home, then hackers could have already compromised that user’s security. 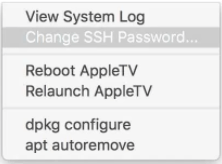 The problem with jailbreaking Apple 2nd generation TV device is that once someone has done it, OpenSSH allows the user of the device to login via the available command prompt. That is usually called nito Installer. Users can make use of these command prompts to install Kodi on their Apple 2nd generation TV devices. Moreover, using the same installer and/or command prompt they can install many other Apple 2nd generation TV device compatible apps. 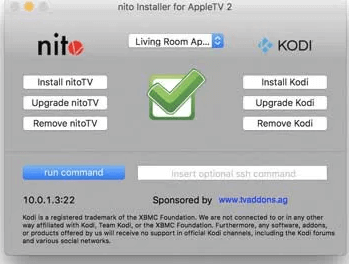 The most popular of those Apple 2nd generation TV device apps is nitoTV. When a user jailbreaks his/her device and then connects to the internet with it, then the user has basically left himself/herself with a device that is essentially a mini Linux computer. This mini Linux computer, for all intents and purposes, is as wide open as any vulnerable computer machine. Anyone on the internet who has enough knowledge can stumble upon the device and know the user’s real IP address. Of course, if you are using a VPN service provider then even if your Apple 2nd generation TV device has a vulnerability, the hacker can’t know your real IP address. So for that purpose, we recommend that you use a good VPN service provider. Our research shows that IPvanish is the best VPN service provider if you want to hide your real location, internet data, and IP address. Now, we know that in usual circumstances, people are smart enough to know that they need to change and set a strong password on all their devices. The problem in Apple 2nd generation TV device case is that most users don’t even know that their Apple 2nd generation TV device, a jailbroken version, is a computer machine. And anyone with enough skills can program this machine for any and all purposes. Hackers who have the skills and the time to access the user’s jailbroken and insecure Apple 2nd generation TV device can use the device to run any code. Infiltrate the user’s own smartphone and any other computing machine. Hence it is very important for you to understand what does your overall digital security means. The first thing you should understand is that any user’s overall online security is only as good as the user’s weakest link. Hackers are very quick to pick up new vulnerabilities. In recent months, hackers have started to exploit internet-connected devices. And have used them to launch massive botnet attacks. Botnets are essentially large masses of Internet of Things devices which are all infected with malware. Hackers use Botnets to carry out malware attacks which require a collective effort. These are attacks that you commonly know as DDoS attacks, online fraud and/or spamming. As mentioned before, hackers can ever turn the user’s insecure and jailbroken Apple 2nd generation TV device into an online server that hosts any and all types of illegal and illicit content. Who should we blame for all of this? Well, there is no way to sugarcoat it. But the main culprit is the company that launched Seasonpass Jailbreak for all Apple 2nd generation TV devices. They should have protected Apple 2nd generation TV devices better. Firecore distributed jailbreak for Apple 2nd generation TV device for many years. And since people didn’t have any other way to jailbreak their devices, their method of jailbreaking Apple 2nd generation TV device gained unprecedented popularity. Media reports say that they intentionally chose to attach OpenSSH along with their jailbreak technique. If that is indeed the case then perhaps Firecore should have seen such vulnerabilities coming from a mile away. For the end user it means, that Firecore should have provided users a way to change their SSH passwords at the same time that they decided to jailbreak their Apple 2nd generation TV device. The company behind the jailbreak method turned a blind eye to the problem. Because they wanted to make it simpler for the average user to jailbreak his/her Apple 2nd generation TV device. Moreover, this also allowed the company to upsell their other premium apps to average joes on the internet. Readers should also know that Kodi stopped providing any support for Apple 2nd generation TV device around two years ago. So you shouldn’t be using it in any case. That also means another thing. Your Apple 2nd generation TV device will not perform even close to the newer and better Android TV devices that are available on the market today. And if you are concerned about your security and performance, then perhaps this is a good time as any to go for an upgrade. 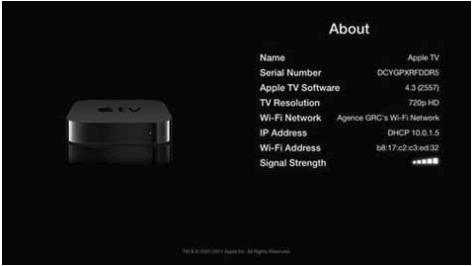 We have good reasons to believe that most Apple TV users and owners don’t even know that their Apple 2nd generation TV devices actually have electricity connection and hence also have a connection to the internet via their Wifi network. Our guide will provide you the needed assistance in order to secure your jailbroken Apple 2nd generation TV device. But this guide will only help you if you want to keep going with your Apple TV 2 device. 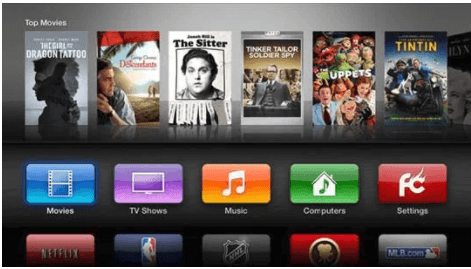 How To Secure A Jailbroken Apple TV 2 Device? As mentioned before, the latest flaw is not only huge but it is also dangerous. If could potentially affect thousands if not millions of online Kodi users. But the good news is that with a couple of simple steps you can correct this fault. The first thing Kodi users should do is that they should change their default root password. And choose something more original. If you have the necessary hardware then it is time to download a bit of software as well. 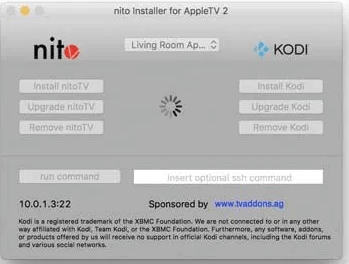 First, you will need nito Installer for Apple TV 2. To download it for the Mac, click here. To download it for Windows, click here. We are going to assume here that you have actually jailbroken your Apple TV 2 device. Once you have done that, you need to connect it to the internet and your television. After that, you must launch the nitoInstaller app that we told you to download about two paragraphs ago. Make sure that your computer machine actually has an internet connection. Also, make sure that your computer and your Apple TV 2 device are connected to the same network. Now click the option that says something like Choose Apple TV. Then you need to select your device. Do it from the drop down list. When you are done with that you need to go to your Apple TV 2 device. Then navigate to Settings menu. After that go to General menu. And then to the main About tab. This is where you must verify your IP address. It should match the one that nito Installer interface displays to you in the lower left corner. Now hit the Advanced toolbar menu while you are operating on nitoInstaller. After that choose the option that says Change SSH Password. Then input a good and original SSH password. After you have done that hit OK. Remember you have to choose a password that is difficult for anyone else to guess. Moreover, you must also write down your password someplace safe. Because if you ever forget your password then you won’t have any other choice but to restore your Apple TV 2 device back to factory settings via iTunes. 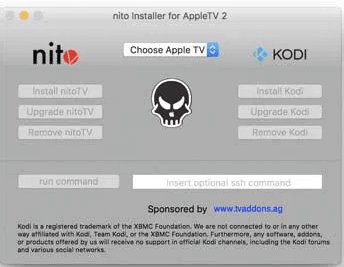 Now you should wait for a while, a couple of seconds precisely, and nito Installer will do its work and change your root password for jailbroken Apple TV 2 device. You have completed the process. Now you have a fully secured Apple TV 2 device. No hacker can just come in and access your device via the internet. If you liked this guide then make sure you share it with anyone who has an Apple TV 2 device and has jailbroken it. One of the worst things that can happen to anyone online is having an insecure Apple TV 2 device and not even realizing that it has security holes that puts your entire network at risk. As we have mentioned before, if a hacker used this exploit to hack you then you probably wouldn’t even know it. Hence it is very important that all Apple TV 2 device users take proactive steps. That is the only way to secure each and every IoT device. And that includes your jailbroken Apple TV 2 device along with any other Android TV set-top box device you may have. If you have some questions, feel free to use the comments section below to let us know about it.